Birger Dahl (1916-1998) is an award winning designer and a pioneer within contemporary Scandinavian lighting. During his career he created several memorable pieces as head of design at Norwegian electronics firm Sønnico. In addition to his talent and interest in lighting design, Birger Dahl is also considered to be one of Norway’s leading post-war interior architects. Circles, cones and cylinders were the signature of Dahl’s design. He softened the strict geometric shapes with gentle contours. In 1952 Dahl created the famous Birdy lamp. 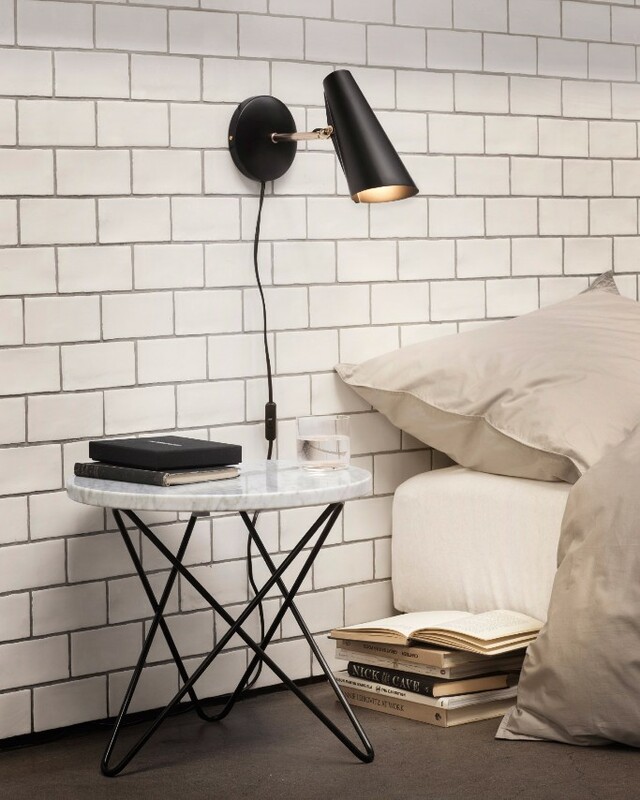 A table, wall and floor lamp series in a modernist style. In 1954 the table lamp, at the moment known as s-30016 won the highly esteemed Golden Medal at the Milan Triennale Exhibition. In 2013 Northern Light decided to re-launch the icons lamp series. This year they are presenting a new version of the Birdy table to mark Dahl’s birth in 1916. The lamp is now available in the colour Marsala, produced in a numbered series.